I was diagnosed with Chronic Mylogenous Leukemia on February 9, 2011. I am still here, and still fighting this chronic cancer known as CML. With your help and the help of the Leukemia & Lymphoma Society I hold out for a cure! This is Lynda Wolters, she is a friend of mine. We met doing something we both love; Dancing! She was diagnosed with Mantle Cell Lymphoma; an incurable aggresive blood cancer. Isn't it strange that we both have an extremely rare type of blood cancer? On August 29, 2016, I was diagnosed with a rare blood cancer called Mantle Cell Lymphoma. There is no cure. Prognosis is short. But with all the research and new developments coming out there is hope, and the Leukemia & Lymphoma Society is pivotal in this. I would ask for your support by way of donating to LLS through the Light the Night project. I too am holding out for a cure! I will be doing the walking as Lynda Wolters and Ron Brown join me in spirit, as they continue their fight! I am walking for all of us!! We got this, Right??? Thank you so much for your donations, for without you there would be no hope! To follow my journey, with tips and updates, you can visit my blog: Dancing My Way Through Leukemia!! By giving a donation today, you can help so many people. LLS is there with so many from the very beginning with friendship, support, through daily chemo, aches and pains, weight changes, hair loss, and hospital stays. Money raised from the Light The Night Walk allows The Leukemia & Lymphoma Society (LLS) to fund treatments for patients that are suffering from all forms of blood cancers. LLS' funding saves thousands of lives every day. Molly's life was saved because of LLS' work supported by people like you. Please make a donation to continue to help so many diagnosed with Leukemia and Lymphoma and check my Web site frequently to see my progress. "God Bless you Michele for all you do to bring information and hope to all people that have suffered either directly or indirectly as a result of this horrific disease. You?re a hero keep up the good fight ! Love, Cindy"
"Go Michele! Thank you for bringing light to the darkness of cancer and for all you do for your fellow CML patients." "Love your blogs. You are an amazing, strong and very talented woman. Stay Strong and keep dancing!" 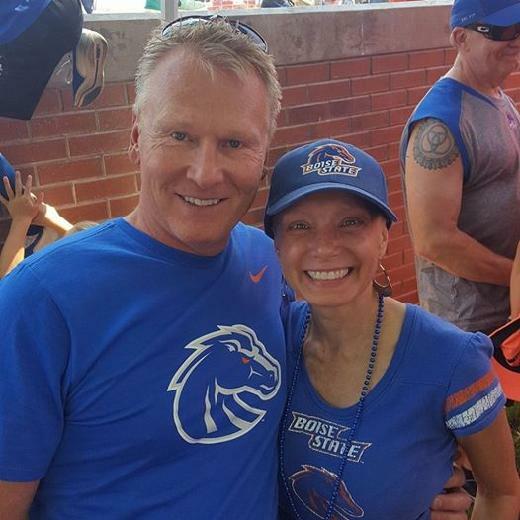 "We love you Michele...Dave�s MM and MDS are in that category of Blood cancers too. Keep on fighting as we do on a daily basis...as son Don use to say: No one gives you a choice so just keep the Faith...it is what it is... Love and Best wishes sent to you and Joe..Love & Hugs...Ginger & Dave"